Often desperate sleep deprived parents finally opt for a sleep training method called ‘controlled comforting’ or ‘controlled crying’ both are the same method just a different name. I often see parents asking for sleep solutions to a sleep deprived baby that is constantly crying, obviously miserable, eating poorly and unhappy and as a result has parents who have tried ‘everything’ but nothing works, still looking for a solution. They have heard or read lots of negative information about controlled crying or controlled comforting and how it causes emotional damage to a baby – no parent wants to cause any type of damage to their child so often parents avoid this strategy until really desperate. I have personally been looking forward to some long term research into this controversial topic as I know how well it works for both babies and parents – I have seen the relief and immediate effects that unbroken sleep has for parents, I have seen the relief, the change in play, behaviour, mood, and health of babies who have an unbroken sleep. 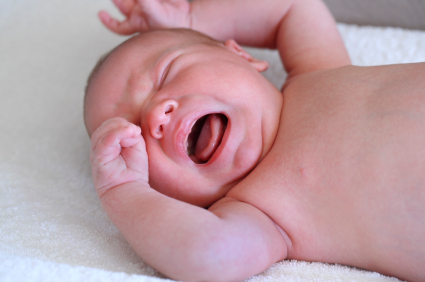 Until now there has been no long term studies on the effects of controlled crying/comforting has on babies, there is certainly professionals such as myself who see everyday the benefits. Until now the argument against controlled comforting/crying is “but it might cause harm…..”. In September 2012, the Royal Childrens Hospital Melbourne released the findings of their long terms study into parents who had used controlled crying as a behavioural sleep method with a follow up 6 years later. To quote directly from the study “ Controlled comforting involves parents leaving their baby for short intervals before returning to comfort them if they are crying. Common periods are two, four, six, eight and 10 minutes, or five, 10 then 15 minutes. Camping out is a more gradual method where parents sit next to their infant and slowly edge their chair out of the room. The study found no evidence that these techniques were harmful to children's mental and behavioural health, nor did it have an impact on their sleep quality or stress levels at the age of six. The study specifically looked at…..
children's weight, height and general health? Dr Anna Price of Murdoch Children's Research Institute in Melbourne said when the babies were followed up at the ages of one and two their sleep quality had improved. Meanwhile, their mother's sleep patterns and mental health had also improved. At the six-year-old follow-up, families were asked about their child's emotional and behavioural wellbeing and quality of life, and a saliva sample was taken to test for the stress hormone cortisol. Mothers were also asked about their mental health. "For parents who are looking for help, techniques like controlled comforting and camping out work and are safe to use, so families and health professionals can really feel comfortable using them," Dr Price said.The study, published online in the journal Pediatrics, said infant sleep problems were reported by up to 45 per cent of mothers in the second six months of life and doubled the risk of maternal depression. But uptake of the interventions had been limited by unproven concerns about the long-term impacts, the study said.” So now parents can rest assured that controlled crying/comforting causes NO long term problems and simply solves a current sleep issue to the benefit of the whole family. This certainly should help parents who are looking at options and previously would have not considered controlled comforting as an option. The benefits for mums suffering from post natal depression are proven without a doubt as well.